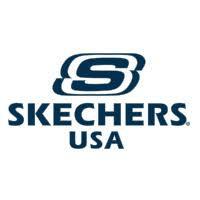 Skechers USA Inc (NYSE: SKX) stock surged 15.12% on Feb 8th, 2019 (Source: Google finance) and continued its bullish momentum after the company has beaten the earnings estimate for the fourth quarter of FY 18. At year-end, cash, cash equivalents and investments totaled $1.07 billion, an increase of $312.2 million, or 41.4 percent from December 31, 2017. Total inventory, including inventory in transit, was $863.3 million, a $9.8 million or 1.1 percent decrease from December 31, 2017. Working capital was $1.62 billion at December 31, 2018, a $114.2 million increase over December 31, 2017. SKK in the fourth quarter of FY 18 has reported the adjusted earnings per share of 31 cents, beating the analysts’ estimates for the adjusted earnings per share of 23 cents. The company had reported the adjusted revenue growth of 11.4 percent to $1.08 billion in the fourth quarter of FY 18, beating the analysts’ estimates for revenue of $1.1 billion. This was the result of the international business increasing 17.9% and the domestic business increasing 4.1%. On a constant currency basis, the sales growth for the quarter was 13.7%. The Company’s international wholesale business posted a 7.5 percent increase in its Company-owned global retail business and a 4.8 percent increase in its domestic wholesale business. Fourth quarter comparable same-store sales in Company-owned retail stores, including e-commerce, increased 1.1 percent, which included an increase of 3.0 percent in its international stores and 0.4 percent in the United States. For the fourth quarter, the significant dollar gains came from Germany, Spain, Japan and Peru within the subsidiaries, and China, India, Malaysia and Singapore within the joint ventures. China remains the largest country within the international portfolio with an annual sales increase of 29.1% and approximately 22.8 million pairs shipped in the full year. At the close of the year in China, the company had 876 SKECHERS freestanding stores, a total of 2,390 points of sale and a 53% increase in the annual online sales. For the first quarter, Skechers expects earnings of 70 cents to 75 cents a share on revenue of $1.28 billion to $1.3 billion, while analysts had forecast earnings of 63 cents a share on revenue of $1.34 billion.